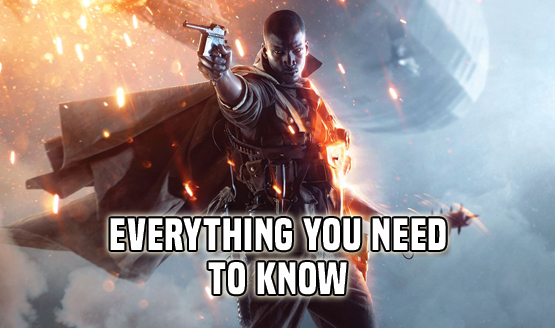 Elite Classes in Battlefield 1 are often compared to the Heroes in Star Wars Battlefront. Both are earned via pick-ups on the map, wield incredibly powerful weapons and equipment, and appear to be very difficult to kill. However, that latter point is not exactly accurate, as Battlefield 1’s Elite Classes can actually be killed pretty damn quickly. Sure these classes have the potential to withstand a lot of damage and can even be healed and have their ammunition replenished by teammates, but by exploiting a key weakness, players can take down an Elite with ease. Watch the video above to see how, and be sure to subscribe to the PlayStation LifeStyle YouTube channel for more Quick Tips and other video content. If you’ve yet to pick the game up, feel free check out our review to see if it’s worth a purchase. Be warned, it’s pretty comprehensive! Got any tips of your own? Be sure to share them with us and the rest of the PSLS community!